Last month I went as far south on this planet as I am likely ever to go. My flight back from Papua New Guinea routed through Sydney, so I decided to take a week long stopover and book a flight to Christchurch, New Zealand. 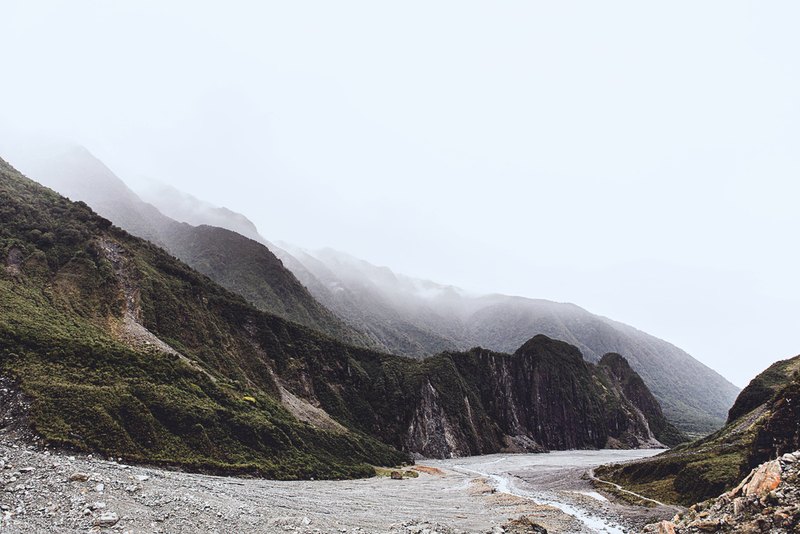 New Zealand is the kind of place that virtually everyone professes some desire to see at some point in their life, but few actually make it there. So naturally I jumped at the opportunity. With only six days there though, it was difficult to try to plan an itinerary that would do the place justice and ultimately I didn't. By the end of my trip I felt rushed and wishing I could stay for three more months. Nevertheless, New Zealand is a relentlessly, heart-achingly beautiful place that begs to be taken in through every facet of the senses. From Christchurch, I rented a car and set out north toward the Lewis Pass to make my way to the western coast of the island to Punakaiki. The first day's drive was not as dramatic as later ones as I made my way across plains and foothills as I approached the alps. As I headed north, snow capped peaks loomed in the distance both daunting and inviting. Periodic rain and clouds obscured the horizon and drifted swiftly between and over mountains. It was on this drive that I began to see the deficiency in my planning. 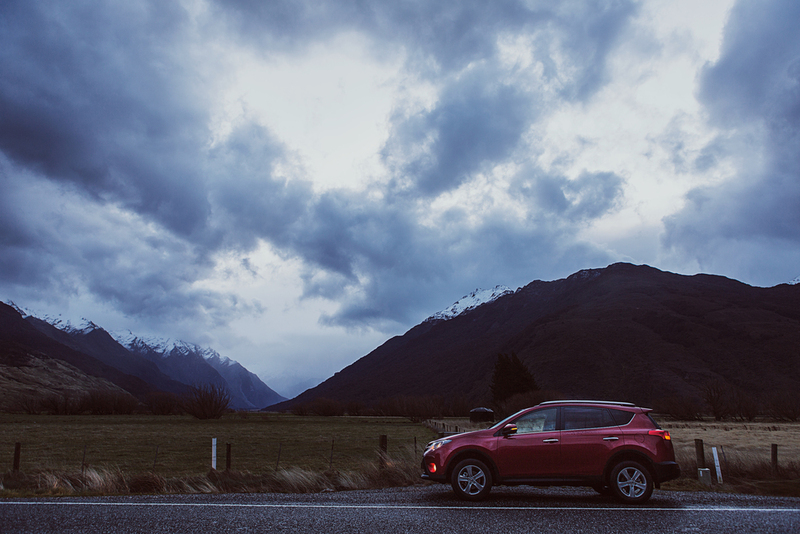 I passed so many things that I wished I could have stopped for, but had to press on in order to reach my destination while there was still daylight as the sun sets at about 5pm during New Zealand's winter. My first leg of the roadtrip was particularly long, so I had to make good time. I arrived at Punakaiki just before sunset. Punakaiki is a tiny little town along the coast halfway between Westport and Greymouth that is known for very dramatic rock features on its beach. The so called "pancake rocks" are the well known attraction, but I was drawn toward a massive monolith dubbed the "chief's head" that stood alone against the waves etched with eons of crashing salt water and wind. I walked along the beach feeling the cold sand between my toes admiring the dramatic coast and inspecting twisted, gnarled driftwood washed ashore. I finished my evening at a local pub and had dinner and a New Zealand brewed IPA and checked into a little, warm hostel just off the beach. At about 7pm it was already pitch black and I had not really slept since the previous morning where I had started my journey from Port Moresby. I chatted a bit with other travelers in the common area before crashing super hard on the bottom bunk of a hostel bed made comfortable by sheer exhaustion. The following day was another long driving day. 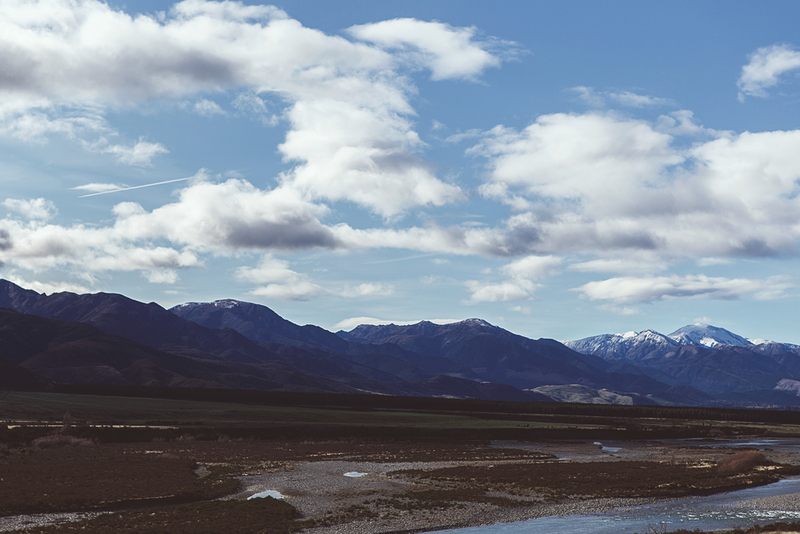 I was making it all the way to Wanaka by evening down the west coast. 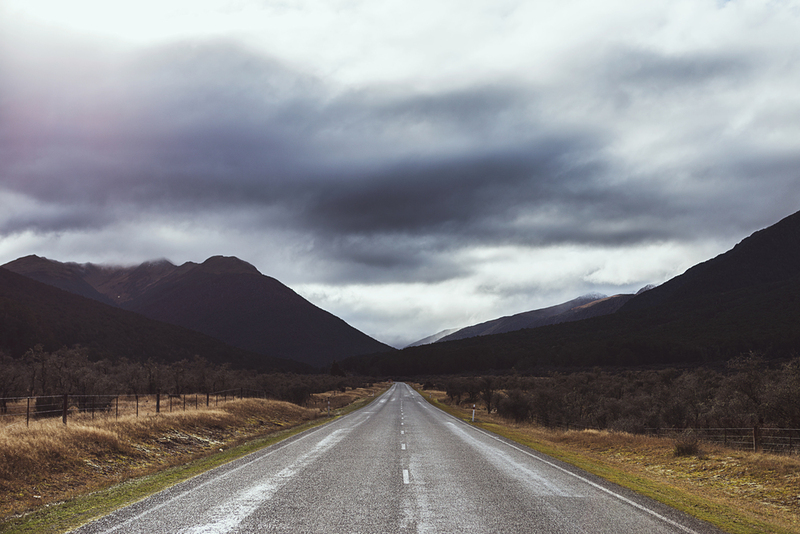 The drive from Westport to Greymouth is considered one of the most scenic drives in the world and I would be hard pressed to argue. 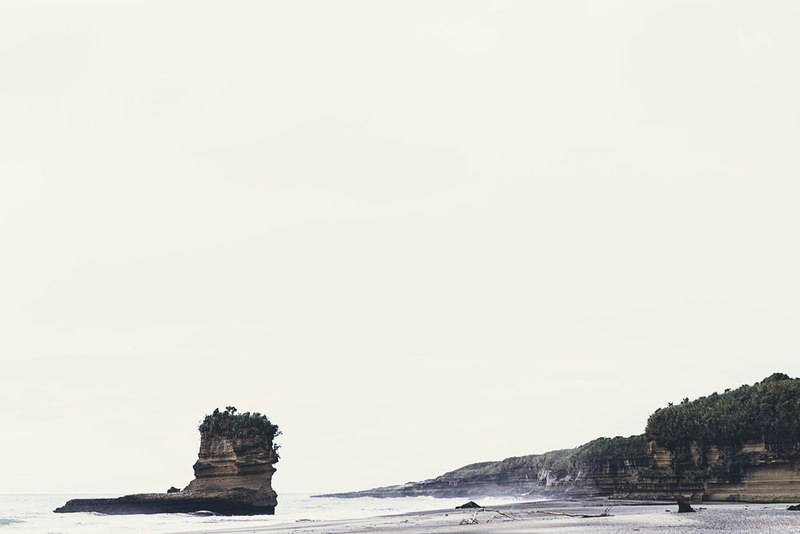 Dramatic seaside cliffs, rainforests, and sprawling dunes make the case well. Along this drive are two popular glaciers that are often cited as "must see" attractions. Guide companies offer helicopter flights to the glaciers, but I didn't really have the time, so I opted instead to take a quick hike to the face of Fox Glacier along a desolate, grey glacier hewn valley. The stark blue of the ancient ice glowing cold and alien. Continuing down the coast from Fox Glacier it began to rain steadily as I passed through Mount Aspiring National Park. The mountain slopes disappeared upward into thick clouds. It wasn't until just before sunset as I was approaching the northern tip of Lake Wanaka that the clouds began to dissipate and the snowcaps came back into view. 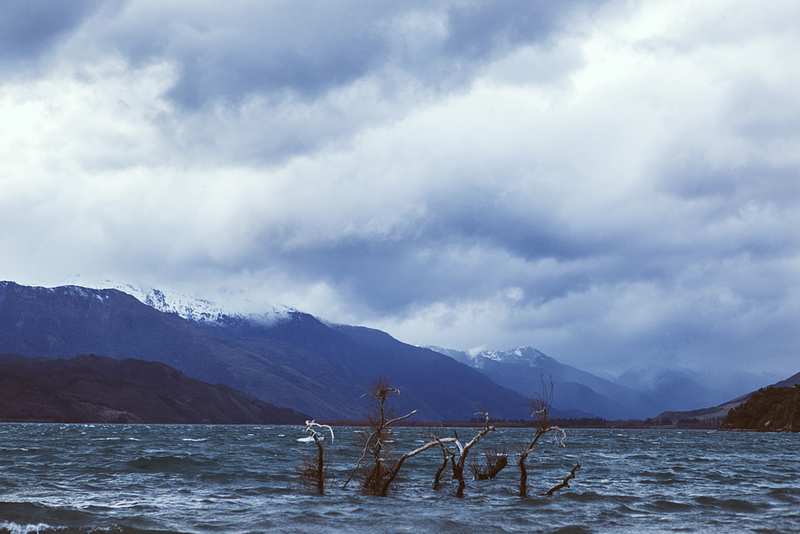 I caught glimpses of Lake Wanaka and Hawea as the light failed and was eager to revisit them during the day. I pulled up to my airbnb in the spectacular dark of the New Zealand evening and, much like the previous evening, collapsed into the bed after a beer and dinner at a local pub. I was to spend the next two days in Wanaka so was able to slow my pace down a bit and really take in the obscene beauty of where I was.